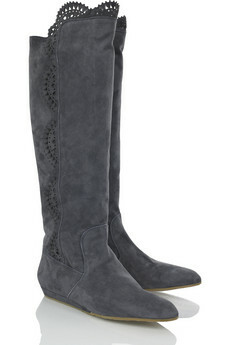 It is waaay too hot to be thinking about boots, I know, but these are just fabulous. I love the color. I love that it's uniquely feminine and hobo, and is something that will work uptown and downtown. Only $890 at Net-a-Porter. These are so cute but cost a ton!